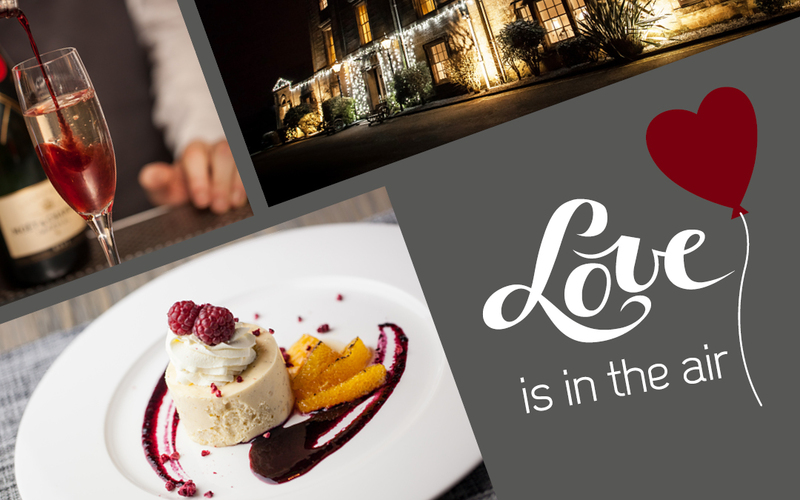 Make the ultimate romantic gesture this Valentine’s Day by whisking your loved one away on a romantic break for two at Strathaven Hotel. We’ve thought of everything to help you spoil your better half, introducing a romantic 3-course menu, guaranteed to make them feel special. Haggis truffles, sirloin steak and passion fruit panna cotta are just some of the dishes we’ve designed to tempt your taste buds on this special intimate break. BOOK ONLINE or contact our team on 01357 521778 or reception@strathavenhotel.com. This package is based on two people sharing a Standard Double Room and includes 1-night’s dinner, bed and breakfast. Offer is valid from 14th – 17th February 2019. Subject to availability. Valentine’s menu is available on Valentine’s day, 15th and 16th February. Guests visiting on Sunday 17th February will be offered dinner from the a la carte menu. For those wishing to dine but not stay the price for the Valentine’s menu is £26 per person for 3-courses including a glass of pink fizz.